Living in a non semi automatic state / country & no pump action & semi shotguns, i’m Looking into very good bolt , lever & pump action rifles that would be suitable for militia / battle duties! Rifles & calibers are fairly open ! Although 338 Lapua & 50 bmg is pretty much restricted. My thoughts are basically most of the ww1 & ww2 bolt action battle rifles that are left as is or modified. I’m a great fan of the Lee Enfield rifles & own 4 of them & all have been sporterized / butched / or bubbered . 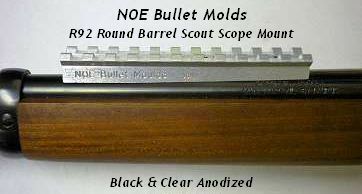 I believe stripper clips are a far better idea over a modern bolt action scout rifle using magazines. Modifying the sights to peep sights & some sort of fibre optic front sight as the primary sights. I totally agree that there’s a place for scopes, but my personal opinion is as a secondary option for longer range engagements or precision shooting. I’m leaning towards a experimental side mounted rail or mount , with a 1-4 or 1-6 x 25 type scope. That way shots can be made with both eyes open , using ether irons or scope & no interference with stripper clip feeding. Weather a Mauser type in 243 , 6.5x55, 270, 7mm , 308, 8mm. Mosin nagant or what ever . I’ll leave it there for now . And looking forward to others opinions. You would be hard pressed to get a better "battle" rifle than the Ishapore in 308. Ammo everywhere cheap. 10 round box. If one has ever gone to pieces I never read it. Many are in nice condition. Just bought my son one. Have you considered a Remington 7600? Yeah I've had quite a few experiences with the 7600 & family of pumps. I can't say they are battle worthy. They jam quite easily, many reasons why as well. Plus they use those long boxy magazines that would cost a arm & a leg to carry 100 rds. Yeah I suppose Ishapore would be really good. I'm pretty sure pull pretty good money in Australia. Yes definitely will look into these. Mate do these take stripper clips? One thing I just learned about the Mosin Nagant is that it doesn't spit out the clip like the Mauser when you work the bolt. You have to pull it. My battle rifle is a Garand, but I guess that choice isn't open to you. Before that, it was a Mauser 98, although mine has a spindly sporter stock. The Mauser has a side mount Williams scope mount with High Over Center rings. I've never tried it, but you could use the straight rings, which would give you an offset scope and clear access for stripper clips. Last edited by HarryAlonzo on 23 Mar 2019 11, edited 1 time in total. Mounting a scope on any of the WWI or even WWII bolt action rifles is a bit of a pain. Original mounts are often hard to get and are often for scopes of 7/8" diameter or less so modern glass often won't work and vintage glass is expensive and not always in decent shape if you can find it. The no-gunsmithing B-square (or off brand) mounts have gotten harder to find and they are not always solid when you do find them and often require the removal of the basic sights when you do. ALL of the recognized WWI/WWII rifles have become collectors items in the states and are pretty expensive compared to 20 years ago. Even the Mosin rifles are running several hundred. So I am not certain I agree with you vs. a modern magazine feed bolt action rifle. I have a CZ-550 in .308 that is magazine feed. Mags are expensive and mine is the varmint config with heavy barrel so it is not suitable but the American with the standard barrel would be better. Mossberg and Ruger both make magazine versions that are very good. The biggest problem is that most other commonly available magazine fed bolt actions are simply not available for magazines that hold more than 3 or 4 rounds. The two Savage rifles I own for example come with 4 round mags and the only high cap mags available are third party hack jobs that require the sacrifice of a factory magazine and a G3 mag that are 'welded' together. The Lee Enfields can use stripper clips and in Australia you might be able to find the clips easier than in the U.S. maybe I'm not sure. The strippers are large, robust, heavy and the rimmed round is a bit of a pain. As I recall you have to remove the stripper before you close the bolt and it takes two of them to top off an empty rifle. The 1917 Enfiend and the 1903 Springfield both use the same stripper clips. I've got one of each with a replica U.S. cartridge belt that will hold 100 rounds on strippers. The strippers are lightweight and not really designed for multiple uses. You can feed the rifle and remove the stripper OR you can feed the rifle and when closing the bolt with the stripper still in the notches simply slam the bolt through it and knock it out of the rifle that way. The second method smashes the stripper out of the notches and generally dents it beyond reuse. The Mosin as mentioned can be had and ammo is available in the states with the clips still sometimes. I have shot them but not that much. You often need to turn the bolt down on them to scope them. I haven't really dug into stripper clips for most of the European rifles. I know they can be had for the Swede Mausers but are expensive and some of the ones I've seen are 'in the white'. The Swede also often requires the bolt to be turned down for a scope plus drilling and tapping or requires a funky expensive mount or both. The ammo is easy to get in the states but I don't know about Australia. The German Mausers are out there but like everything else have increased in price a lot. Ammo is IMO a pain although it is still available in the states if you can mail order it or get a shop to order it in for you. Most of the accessories can be had because WWII reenactments have become popular. Most of the Japanese rifles and the Italian or other weapons of the other nations from the era I tend to avoid. The ammo is not easily available, the quality of the initial builds are often suspect and time has often not been kind to them. They are often expensive wall hangers. The gun grabbers haven't gotten that far here in the states but they are working on it. If Gavin Newsom here in Kalifornia doesn't do something stupid it will be because he slipped in the bath tub and broke his neck. Yes the Ishapore does take a stripper. Two 5 rounders and you are full loaded. If you already have a lowly Enfield and access to 303 you already have what you need. We also have those but we cast our own lead also. 308 (7.62x 51 milsurp )ammo is readily available even here in Peru. But the Ishapore is not. Because I have 3 butchered “ sporters “ & 1 x factory sporter , that’s what i’m Going with. I now have 100 stripper clips & getting 100 more . I found a bloke that has a crate of unissued late Indian manufacture mk 7 ones. $2 ea. Much cheaper than buying box magazines & less bulky to carry 100 rds . I totally agree about the Swede 6.5x55 & the m38 short rifles have turned down bolt handles. The stripper clips can be coated, i’m Actually getting mine micro slicked “ Cerakote “ product . I seen xs sights has a slip over barrel scout mount , it could be used canted to the left so I could still have a sided mounted scout scope. I might experiment with the junkiest lee Enfield I have & see what I come up with. For a side mount scope mount, you can use a Williams SM-70 on the SMLE #1 (round receiver) with an adapter plate, or an SM-71 on the SMLE #4 & #5 (flat receiver).